It’s really hard for me to be in Facebook sometimes as a writer. I see too much. Some of my friends are very serious people, others just lightweights. Carver — well he would probably write a story about the news story I saw yesterday in there. Up in San Francisco — homeless dying in the freezing cold and it’s Christmas. So, I was reading a little off the Paris Review and I came across something he said about fiction and what it might do? I guess I came to the hard realization that art doesn’t make anything happen. No. I don’t believe for a minute in that absurd Shelleyan nonsense having to do with poets as the “unacknowledged legislators” of this world. What an idea! Isak Dinesen said that she wrote a little every day, without hope and without despair. I like that. The days are gone, if they were ever with us, when a novel or a play or a book of poems could change people’s ideas about the world they live in or even about themselves. Maybe writing fiction about particular kinds of people living particular kinds of lives will allow certain areas of life to be understood a little better than they were understood before. But I’m afraid that’s it, at least as far as I’m concerned. Perhaps it’s different in poetry. Tess has had letters from people who have read her poems and say the poems saved them from jumping off a cliff or drowning themselves, et cetera. But that’s something else. Good fiction is partly a bringing of the news from one world to another. That end is good in and of itself, I think. But changing things through fiction, changing somebody’s political affiliation or the political system itself, or saving the whales or the redwood trees, no. Not if these are the kinds of changes you mean. And I don’t think it should have to do any of these things, either. It doesn’t have to do anything. It just has to be there for the fierce pleasure we take in doing it, and the different kind of pleasure that’s taken in reading something that’s durable and made to last, as well as beautiful in and of itself. Something that throws off these sparks—a persistent and steady glow, however dim. I was pretty upset at the story I read, and also because I feel like hell about certain things right now. I began to write a story yesterday from that place, thinking that gee, maybe reading bad characters can make a change — but no, I don’t think so. They might have for my generation of people who studied the Humanities but that’s about it. Carver is right in this last passage, although I will say that reading him made me think about his characters. He wrote so thinly sometimes — just dialogue. Sometimes I try and do that too. 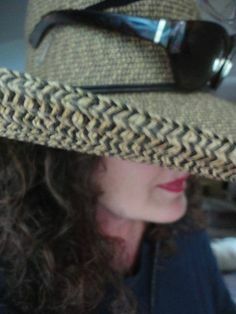 Anyway, this isn’t a very bright year, or a happy year for me. With the exception of what has happened for my writing this year. That part is good. The reviews on my book. There is just too much psychic pain everywhere. It’s bleak and ugly and I was writing from that place and then I didn’t want to. Some part of me is saying “try and write some good” or “try and write some entertainment” because that is what the world is looking for. Posted in Writers, writing. 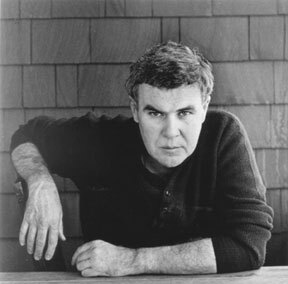 Tagged Raymond Carver, thoughts on fiction, writing.